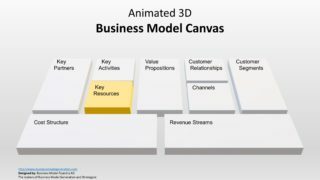 Key Resources: Physical, intellectual, financial and human resources. 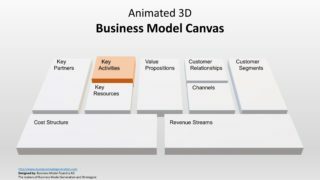 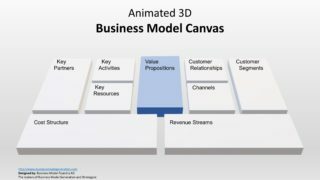 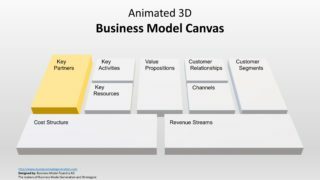 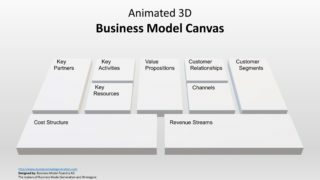 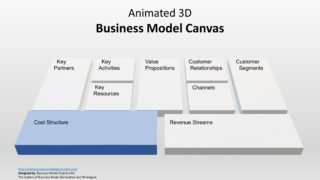 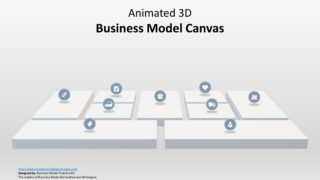 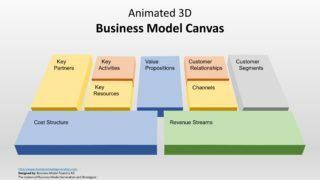 The Animated 3D Business Model Canvas Template for PowerPoint helps to visualize the building blocks of a company. 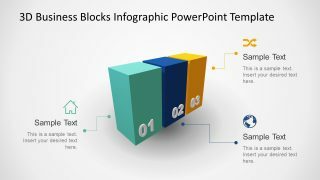 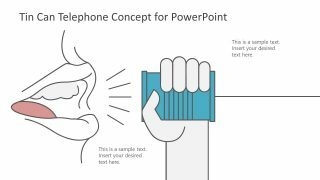 The users can insert useful textual content under every segment of canvas PowerPoint. 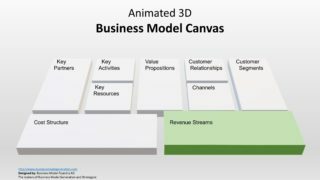 In this way, they can explain, redesign and pivot the business model. 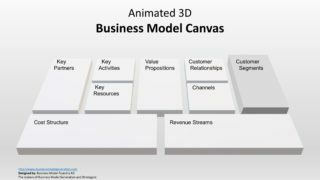 The business model canvas works as a supporting document along with other strategic management tools and processes. 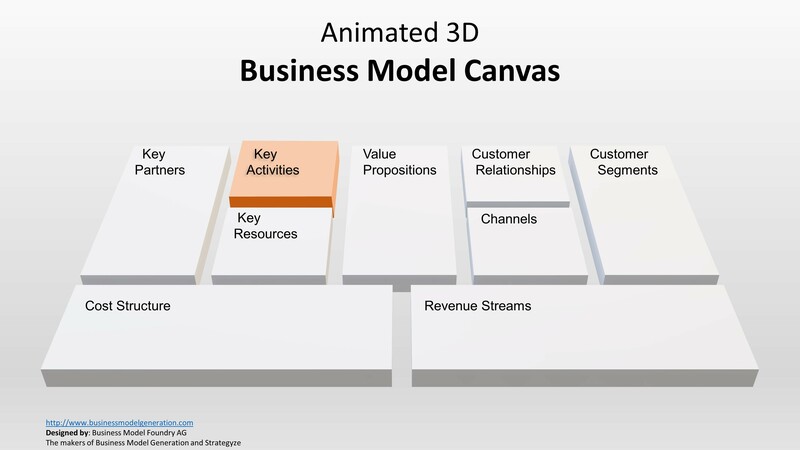 The business model canvas PowerPoint gives a zoom-in effect with slide animations. 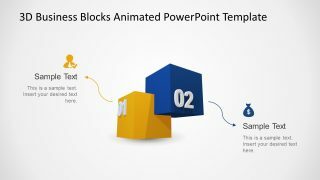 And, the 3D shapes together with animated slides boost the professional looking presentation. 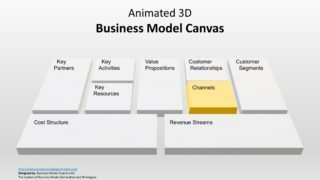 The PowerPoint template of business model canvas also contains a slide of icons representing each component of the concept. 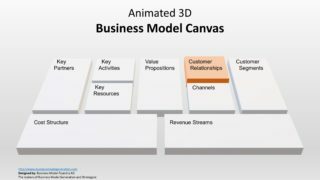 Further, it is a customizable template. 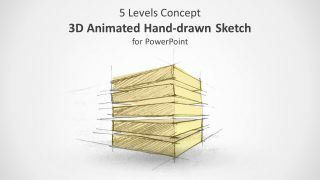 Depending on the theme and environment of presentation, users can modify colors, animations, add effects etc.